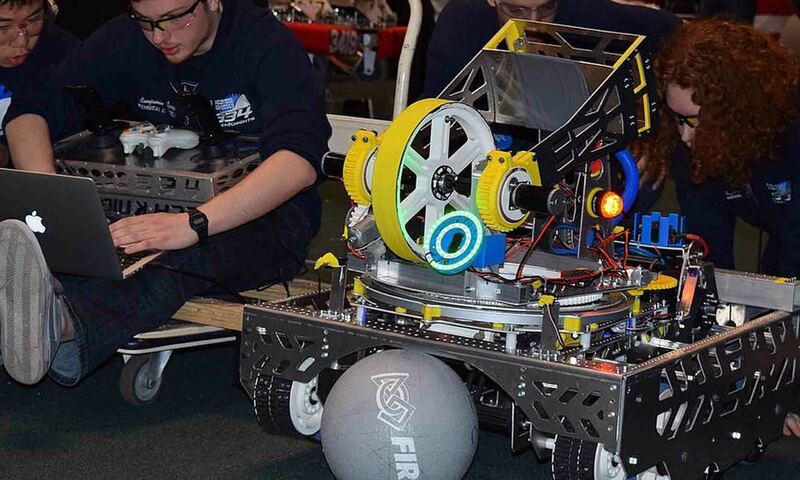 Competing in the FRC 2016 Stronghold competition, this robot had to maneuver over different obstacles, such as swinging doors, uneven platforms, and a castle gate. To gain points, the robot had to shoot small foam balls into a fortress. To clutch the game and win the final points, the robot had to climb by holding onto a metal rod.